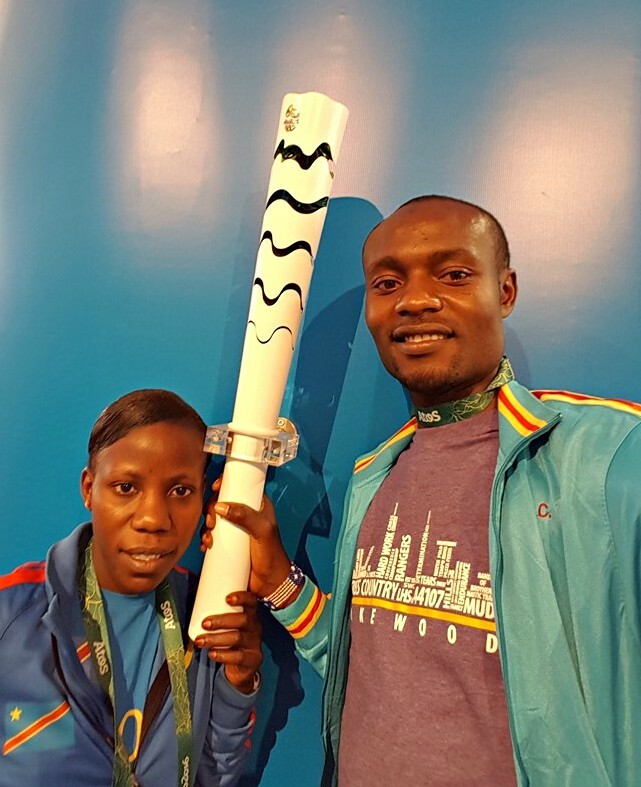 Whether running a road race or carrying his native country’s flag, Makorobondo “Dee” Salukombo is no stranger to being in the lead. Now he’s poised to lead the parade at the center of Lakewood’s longtime holiday tradition. LakewoodAlive announced today that Dee has been selected to serve as Grand Marshal for the holiday parade taking place during Light Up Lakewood 2016 on Saturday, Dec. 3, in Downtown Lakewood. 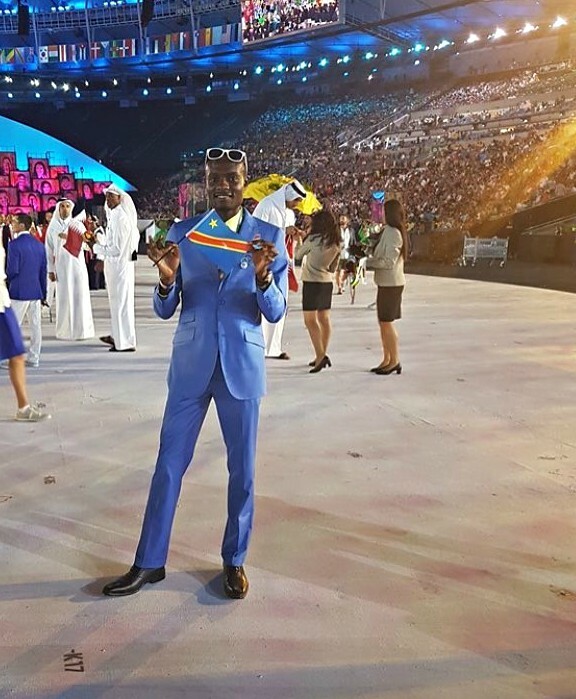 A 2008 Lakewood High School graduate who starred in track and cross country, Dee represented his native Democratic Republic of the Congo by running the marathon during the 2016 Summer Olympics in Rio de Janeiro, Brazil. Dee arrived in the United States in 2004 as a refugee from Congo, where a devastating Civil War has resulted in millions of lost lives. Despite enduring immense challenges in his youth, Dee flourished at Lakewood High and also graduated from Denison University, earning All-American status. Dee has since founded Project Kirotshe, which seeks to provide better educational and athletic opportunities for children in Kirotshe, Congo, where he was born. Photo courtesy of Makorobondo Salukombo. The 2016 holiday parade will step off from Manor Park at 5 p.m. on Dec. 3 and proceed west on Detroit Avenue, ending in front of the Lakewood Public Library. Now entering its 10th consecutive year within the city’s downtown district, Light Up Lakewood represents a free, family-friend event that also features a lighting ceremony, winter fireworks, live music, ice carvings, hot chocolate, food trucks, children’s games and much more. For more information regarding Light Up Lakewood 2016, please visit LightUpLakewood.com. Light Up Lakewood is generously supported by the following sponsors: First Federal Lakewood, City of Lakewood, Lakewood City Center, Convey360, Discount Drug Mart, Lakewood Anglican Church, Plantation Home, Roundstone Insurance, The University of Akron Lakewood, Barton Senior Center, Dewey’s Pizza, IMCD US, Lakewood Hardware, Lakewood Masonic Temple, Lakewood Public Library, Lakewood Catholic Academy, Beck Center for the Arts, Burgers 2 Beer Lakewood, Dollar Bank and Modelo Dental Care.